HINT: The SRS wire harness is integrated with the cowl wire harness assembly. The wires for the SRS wire harness are encased in a yellow corrugated tube and all the connectors in the system are a standard yellow color. 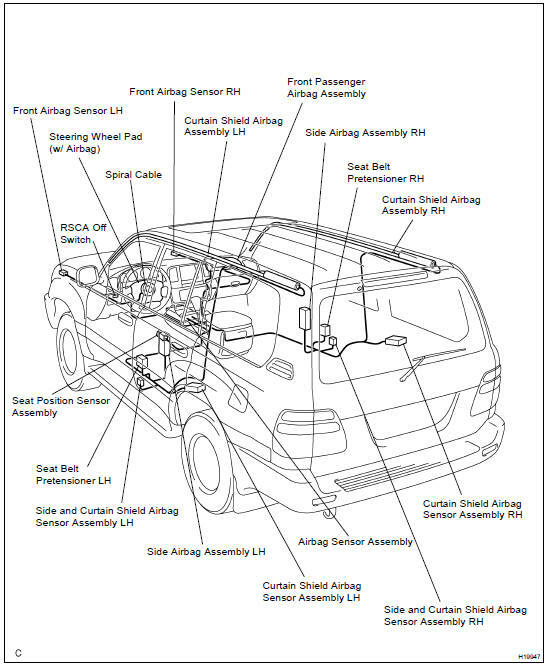 (a) Do a diagnostic system check (DI-692 ). (b) Check for breaks in all wires of the SRS wire harness, and for exposed conductors. (c) Check to see if the SRS wire harness connectors are cracked or chipped.